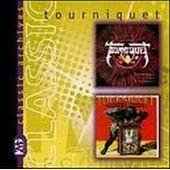 Tourniquet was formed in Los Angeles in 1990. 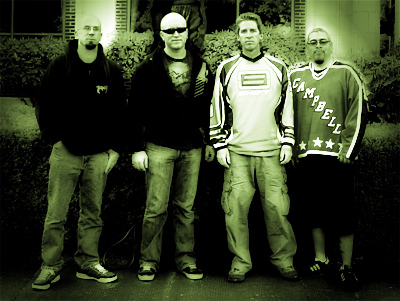 Seven full length albums, two EP's, one acoustic album, one "Best of" album, and six videos later, the members of Tourniquet remain committed to communicating the message of the Gospel through music. 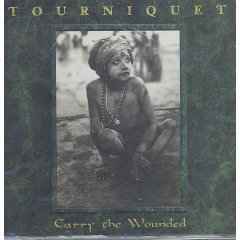 Tourniquet has been the recipient of numerous awards and accolades, including HM magazine's Favorite Band, two CCM magazine #1 Rock Singles, many #1 Metal Singles, and six Dove Award nominations. 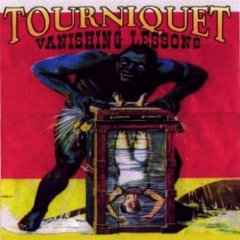 The many influences Tourniquet manages to pour into their music is phenomenal. The use of a violin enhances the atmosphere and adds a nice touch on their album, Where Moth and Rust Destroy! (2003). 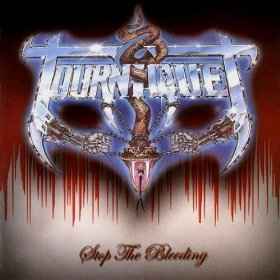 "To define Tourniquet is to not define us, " says founding member and drummer, Ted Kirkpatrick. "It has been our great privilege to not be put in a box. We have had the freedom to experiment with new musical sounds because we haven't been confined to one musical style. 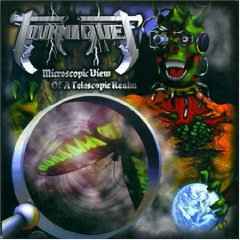 Yet in the midst of all the variety, there will always be a basis for who Tourniquet is - an extremely aggressive, heavy band." "In order for us to reach the lost, we have to attract people to our music," Ted says, "When they respect us as musicians, the chances are greater that they'll listen to the lyrics. We hear all the time about Christians who use our music as a tool to witness to their non-Christian friends, and they wouldn't dare do that unless they felt good about the music." 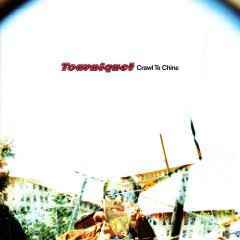 From the beginning, Ted based many of his song ideas on medical allegories for spiritual themes, thus the band's name. Technically, a "tourniquet" is a surgical device for arresting hemorrhage by compression of a blood vessel. Ted gives the band's definition: "We believe in a lifelong spiritual process by which a personal God, through the atoning blood, death, and resurrection of His only Son - Jesus Christ - can begin to stop the flow of going through life without knowing and serving our creator. He is our Tourniquet!" The members of Tourniquet believe that lifelong spiritual process is something to be taken seriously everyday. This is evidenced in the song, "White Knucklin' the Rosary," a sarcasm-laden look at our self-centered prayer lives. Ted explained, "The natural tendency of our sinful nature is to trust in our own flesh and call on God only in times of emergency. We want to encourage people to get back to a daily practice of faith in God, through good times and bad."" Another aspect of Tourniquet's mission to serve God faithfully is caring for his creation. The band members have filled a very active role in fighting animal abuse, appearing in many preservationist and animal rights magazines across the country. 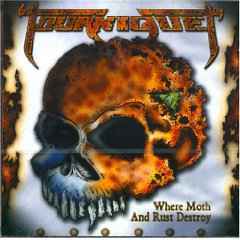 Tourniquet is truly a band with a mission - to use creative heavy music to deliver a message of strong, active faith to the world. "We see what we do as a privilege and a responsibility," Ted concludes. "We make music that we think people will enjoy, but over all, we make music to carry the message where it hasn't gone before."